A friend who relocated few years earlier recommended it. Fees at International Schools are higher as they cater more towards Non-Resident Indians (NRI). Further, their assessment factors in students relocating from abroad. Note: The fees went up in the ~20% range every year and is now (2015) well above double these rates. 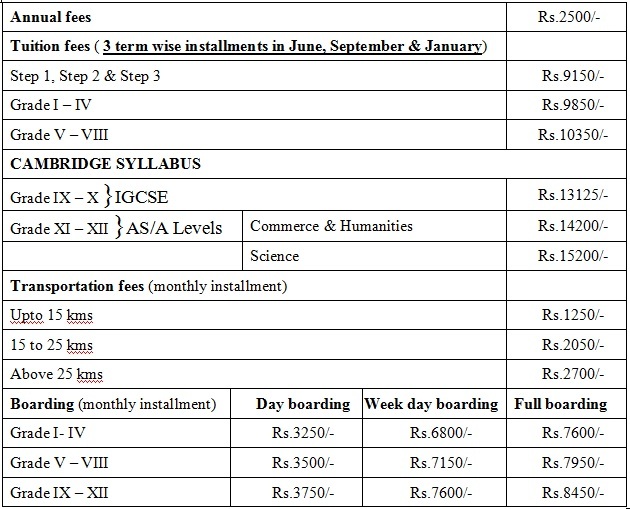 The above fee structure compared to Rs 15K and Rs 20K respectively for annual fees at Marthoma Public School and Rajagiri Christu Jayanthi respectively (2010). Choice was around 25% higher compared to GPS overall. The staff at GPS takes at-least a peripheral effort to keep the students and parents content. While this is true at Bay Farm Elementary too, as it is state run, the establishment functions pretty much as a government organization with woeful service levels. Teachers at Bay Farm survive on volunteering from parents. In a wealthy community like Bay Farm Island, where parents who do not need to work for a living are aplenty, this cry for help is a welcome outlet. Hence, on any given day, it is normal to see two or more parent volunteers in the classroom. While this may be considered a blessing by many parents, the downside is the immense pressure on families where both parents work – it is hard to put in volunteer hours but if you don’t, you run the risk of your kids feeling left out. Besides, there is no reason that a teacher responsible for a small group (20 students) needs hand holding in doing her job in the classroom – makes one wonder why employees in other fields are not incapable of doing their own work??? Parent volunteering thankfully is a foreign concept at GPS. We checked with the kids specifically on this aspect and they expressed relief that parents are absent in their school space. As with most public schools in the Bay Area, a single teacher is responsible for a class at Bay Farm Elementary. The students are subjected to the same teacher for all subjects throughout the school year. The downside with this approach is that many teachers give priority to their area of expertise when teaching. For example, if a teacher is inclined towards Art, invariably that is what the kids in her classroom will learn most. GPS, on the other hand has a teacher for each subject. When questioned on this approach, the kids expressed their appreciation in being able to interact with different teachers throughout the school year. The facility and the environment at GPS was a big upgrade to the kids. They loved the fact that swimming is part of the curriculum, being foodies they relish the decent breakfast that is provided to all, and the two-hour optional extra-curricular session were students can choose to train in two activities throughout the school year. At GPS, covering the curriculum and following standardized testing procedures is mandatory. While this is theoretically true at Bay Farm Elementary too, in reality only a small percentage of the material is covered in class, claiming students are having a tough time with the rest. The net effect is that a small section of the students who can learn on their own or have access to other resources surge ahead while the rest are fed a hodge-podge of selected topics. The issue is further worsened as students are not required to own textbooks – the pricing for new textbooks are upwards of $70 and as such only a handful of students ultimately end up purchasing them. Since GPS is a private enterprise, teachers have to perform. This is a big change compared to teachers in Bay Farm, a public school – in effect, there is zero accountability, although efforts are being made to change this. Most teachers are geared towards teaching perfect kids. The notion of being a perfect teacher to kids of different ability is an unfamiliar concept to most of the staff and parent volunteers. Global Public School (GPS) Review - Ongoing Update. Global Public School (GPS) vs Bay Farm Elementary - Comparative Review (this post). Neck-deep in shortlisting schools for our impending move to Kochi from the UK, I found your article interesting, since GPS is one of our choices. Are you aware of what the academic performance is like at the school? Have your children joined GPS as yet?If yes, what has their experience been like? I hope your move has been smooth! And I hope to say the same about ours! fingers crossed! Yes, my two kids have attended GPS from the 2010 school year onwards. Please see the latest update @ Global Public School Review: Three-year update . Our move worked out great: kids adjusted really well. The one surprise was dealing with social commitments and expectations of our family & extended family. Very informative and thanks heaps for your article. A very helpful blog indeed.